BOTANICAL INFORMATION: Crocus Sativus belongs to the genus Saffron (Crocus) of the Iris or Iridaceae. It is a herbaceous perennial bulbotuberiferous plant. Saffron reaches a height of 30 cm. Corm is slightly complanate and has a globular form. The root is fibrous. Leaves are linear and narrow, they appear during flowering and become longer at its end. The flowers begin to open at the beginning of fall. They are large and usually of purple, yellow or white color. Crocus Sativus has three stamens with long threadlike light yellow column, split into three stigmas. The stigmas themselves are of a reddish-orange color. One corm can produce from two to three flowers. The fruits are triangular shaped boxes. Saffron does not produce seeds, it propagates only by bulbotuber. COUNTRY OF ORIGIN: Balkan Peninsula. This is one of the oldest plants thus it is very difficult to identify the county of origin. Some scientists believe that it can be India or Iran. Crocus Sativus is widespread in Azerbaijan and Central Asia. Recently, saffron is planted in Europe - in the southern regions of France. Saffron grows on well-lit rocky hills along the roads. CHEMICAL COMPOSITION: Stigmas contain essential oil in the form of picrocrocin glycoside, fatty oil (up to 13%), carotenoids, sugar, lycopene, potassium, flavonoids (isoramnetin and kaempferol), wax, thiamine, calcium, vitamins B, nitrogenous substances, phosphorus, minerals. Leaves contain up to 0.25% ascorbic acid. PHARMALOGICAL PROPERTIES: The pharmacological characteristics of saffron are bent on its rich chemical composition. Stigma water infusion has a wide range of properties, such as sedative, diuretic, bactericidal, antispasmodic, anticonvulsant, diaphoretic, anti-inflammatory, analgesic. It also stimulates sexual activity, harmonizes the nervous system and can stimulate the release of beneficial hormones that keep us happy and healthy, improves digestion, strengthens the heart and nervous system. INDICATIONS FOR USE: Crocus Sativus is effective when having cystitis, urolithiasis disease, urethritis. 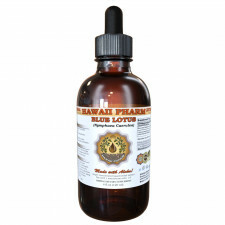 It perfectly cleans the blood and helps to rejuvenate all body tissues. In oriental medicine it is often used to cure eye problems, digestive tract, intestinal polyps, insomnia, gynecological problems and hemorrhoids. Saffron reduces appetite, so it is good at fighting overweight. Satiereal saffron essential oil is used to cure hard-to-heal wounds. CONTRAINDICATIONS: Crocus Sativus should be used with special caution. When using in internally, do not exceed the prescribed dosage, as it may cause such side effects as sickness, dizziness, vomiting, diarrhea, convulsions and coma. It is forbidden to use saffron during pregnancy, as it may result in abortion. It is not recommended to take when having high blood pressure, diabetes, some CVS diseases. Pour 1 cup boiling water over 2 tsp. saffron pistils, infuse until it is room temperature then filter. Take 1 tbsp. 3 times a day 20 minutes before meals. Crocus Sativus is known to humankind since ancient times. It is entitled the "king of spices", and it is believed to be one of the most expensive herbs all around the world. In the medical texts of ancient Egypt, the mention of it dates back to 1500 BC. In Chinese healing books description of medical characteristics of saffron relates to 2600 BC. 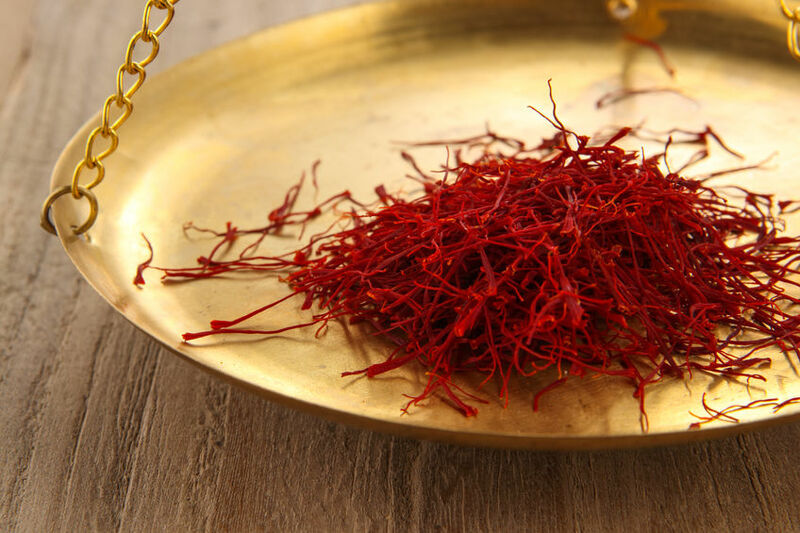 There are two legends describing the origin of saffron. One of them tells that the god Hermes adored the beautiful young man, but he killed him by a coincidence. On the spot where blood was shed, grew a colorful crocus flower. Another version of the legend says that Crocus was in love with a beautiful nymph. But the gods threw a spanner in their relationships and turned the sprite into a flowering bush, and the young man into a small plant with bright flowers, known to us as saffron. In India, leaders wore saffron-colored shoes, women wore clothes that were colored using saffron. Like a spice with a specific smell and acidic taste, Crocus Sativus has been known since the reign of English King Henry VIII. The ruler prohibited the women to use saffron for dyeing hair, presenting saffron as a useful spice in culinary. In Germany, for forging saffron, a person was subjected to death penalty. Since ancient times, this herb was estimated at 15 times more valuable than other spices. In Europe, they first began to grow Satiereal Saffron in Spain. Spain is one of the largest and main growers of saffron in the world. Spanish Crocus Sativus is the most high-priced and costs from 900 USD per 1 kg. Finger lemon is a very unusual citrus fruit which originates from the lower Himalayas and China. It’s often referred to as Buddha’s hand thanks to the shape of the fruit that is similar to the hand of..
Amla is a subtropical deciduous tree that is famous for its eatable fruit and is native to India. Since ancient times amla has been considered a symbol of good health in Ayurvedic medicine. The amla t..
Buckwheat is one of the most popular gluten-free foods all over the world. It’s extremely rich in antioxidants and minerals. In addition to numerous health benefits, it’s also very tasty, simple to ma..
Chamomile is an annual herbaceous plant with a strong aromatic odor. The stem is strongly branched. Leaves are regular, double-bifurcated into linear segments. The flowers are collected in baskets wit..